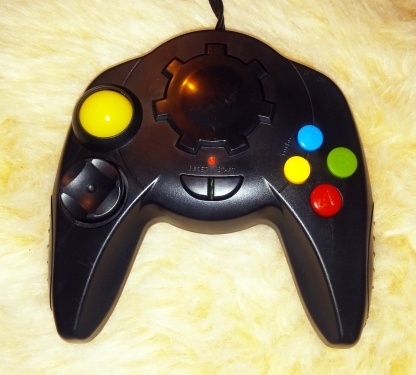 A controller-based plug & play console with a bonus ping pong controller. Most of the games are standard Famicom/NES stuff but there are a few originals. 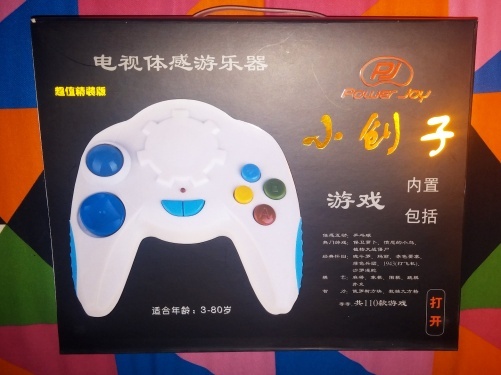 The name on this is actually "Power Joy 小创子", "小创子" = "xiao chuang zi" = "little creating child" or something like that. 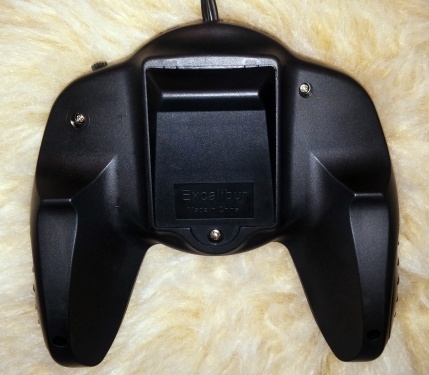 I've listed this as a Trump Grand production for now, as they've always been the manufacturer of Power Joy consoles, and have this one listed on their 1688 page. 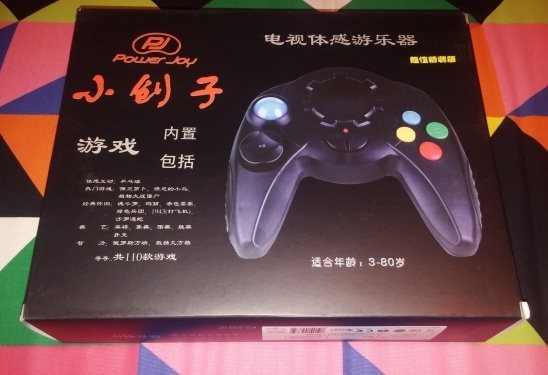 But the box actually credits it to two other companies - "香港创域设计公司" (Hong Kong Chuangyu Design Co) and "东莞景升科技公司" (Dongguan Jingsheng Technology Co), neither of which I can find much evidence of existing, so I don't know what to make of that. Trump Grand have always had offices in Hong Kong and manufacturing in Dongguan though, so maybe the two divisions have recently adopted different names for some reason? Like many recent Trump Grand products, this can be powered by USB. which is very convenient! keep it up! Judging from the massive gear on the front this is an old DreamGear mould. 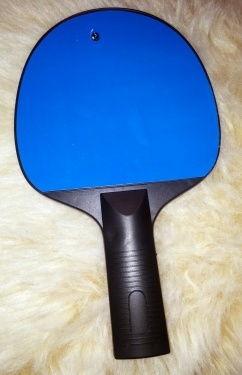 The weird ball-thing in place of the "analogue" stick is actually an infrared receiver for the ping pong paddle. also note "Excalibur" on the battery cover - this was another company Trump Grand made some plug & plays for, many years ago (I even had one!) with a very similar design to the DreamGear ones, so presumably either the entire back or just the battery cover came from *that* mould instead. This page was last modified on 22 November 2015, at 14:40. This page has been accessed 1,498 times.